Earlier this week, OnePlus unveiled its latest flagship Android smartphone at a media event held in New York City. The OnePlus 5T, as the “T” in the name suggests, is a minor upgrade over the OnePlus 5 from earlier this year. However, there are still a few major changes that the OnePlus 5T brings to the table, making it a superior flagship device compared to its predecessor. In this post, we’re going to tell you about the most significant differences between the two 2017 OnePlus flagship smartphones. Let’s start with the most obvious difference- design. While the OnePlus 5 looks more like a flagship smartphone from 2016, the OnePlus 5T is more contemporary in the design department. 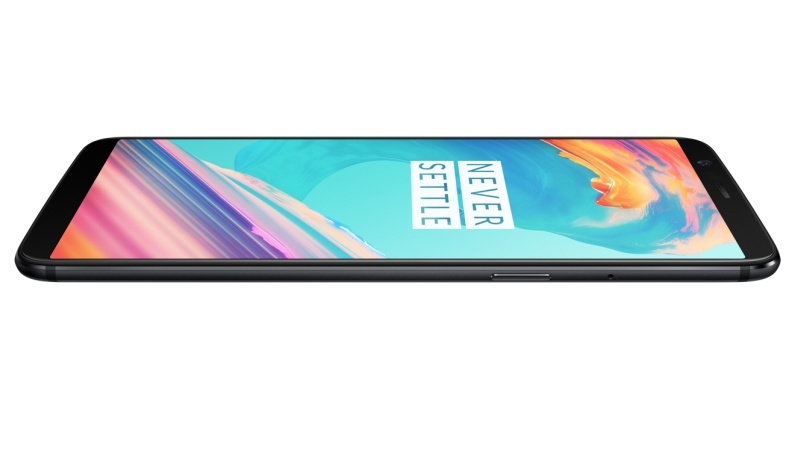 Like most 2017 flagship handsets, the OnePlus 5T features minimal bezels on the front, giving it a higher screen-to-body ratio than any previous OnePlus flagship smartphone. Since the bottom bezel is extremely thin, the fingerprint sensor is placed at the back of the handset. In terms of physical size, the OnePlus 5T measures 156.1 x 75 x 7.3mm and weighs in at 162 grams. OnePlus 5 in comparison, measures 154.2 x 74.1 x 7.25mm and weighs in at 158 grams. As far as color options go, the new OnePlus 5T will only be available in a single color at launch – Midnight Black. The Optic AMOLED display on the OnePlus 5T measures 6.01-inches diagonally and offers 1080 x 2160 Full HD+ resolution with an 18:9 aspect ratio. Protecting the display is a layer of Corning Gorilla Glass 5 on top. However, OnePlus hasn’t added support for mobile HDR, so you will not be able to enjoy HDR content on the OnePlus 5T display. OnePlus 5, on the other hand, sports a smaller 5.5-inch Optic AMOLED display with 1080 x 1920 Full HD resolution. OnePlus jumped aboard the dual-camera train with the OnePlus 5 earlier this year. 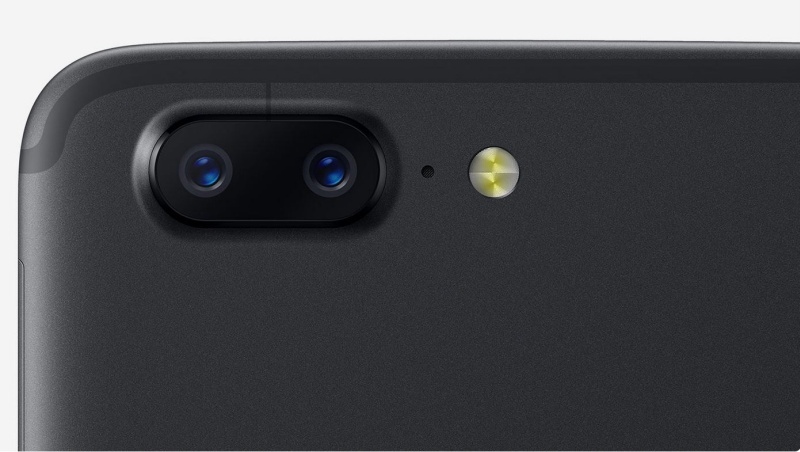 However, the dual rear cameras on the OnePlus 5 proved to be slightly disappointing overall, not being able to match the image quality of more expensive flagship smartphones. 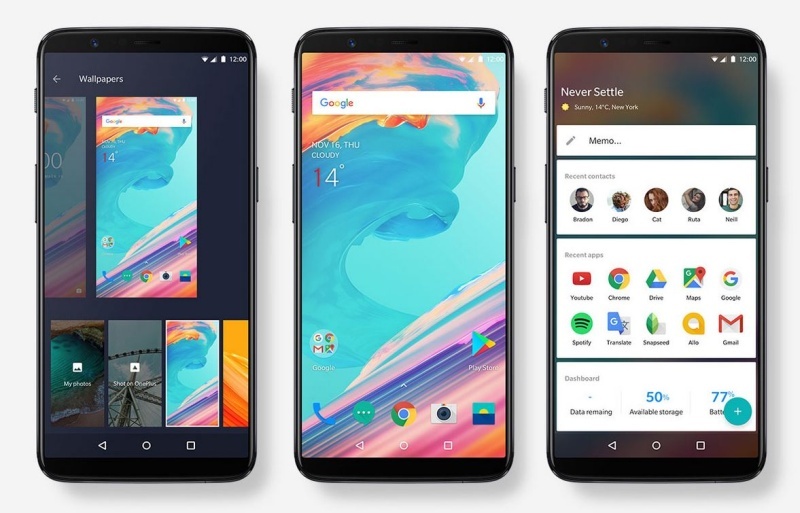 The OnePlus 5T, however, comes with a revamped setup, which OnePlus claims, will allow its latest flagship to deliver much more impressive results. The primary sensor at the rear is a 16MP Sony IMX398 sensor with 1.12um pixel size, paired with a 27.22mm focal length f/1.7 aperture lens. The secondary sensor is a Sony IMX376K with 20-megapixel resolution and 1.0um pixel size. Instead of being paired with an f/2.4 aperture telephoto lens, it has been paired with an f/1.7 aperture lens on the OnePlus 5T. Thanks to the change, we expect the OnePlus 5T to perform much better than the OnePlus 5 in low-light situations. Like any modern flagship smartphone, the OnePlus 5T can capture videos at up to 4K resolution and also includes a dual-LED flash. For selfies, the OnePlus 5T comes with a 16-megapixel Sony IMX371 sensor with 1.0um pixel size and an f/2.0 aperture lens. The front-facing camera can capture Full HD videos at 30 frames per second and is also capable of shooting time-lapse videos. In addition to being able to unlock the OnePlus 5T with your fingerprint, you can also unlock it by scanning your face. Like other devices with facial recognition technology, you will need to scan your face using the front-facing camera to set it up. Once done, all you will need to do is make sure your face is in view and just press the power button to jump straight into the homescreen. However, OnePlus does make it quite clear that facial recognition isn’t as secure as using the fingerprint sensor. Unfortunately, the latest OnePlus flagship does not ship with the latest Android 8.0 Oreo operating system out of the box. Instead, the OnePlus 5T will be shipping with Android 7.1.1 Nougat OS out of the box. The Oreo beta program for the smartphone is expected to begin in late December, while the final stable Oreo update will probably begin rolling out sometime in early 2018. For the most part, OxygenOS 4.5.14 on the OnePlus 5T is identical to what we have seen on the OnePlus 5, save for a few minor changes. Overall, the OnePlus 5T is no doubt a decent upgrade over the OnePlus 5 and looks like a 2017 flagship with the new 18:9 aspect ratio display. Under the hood, the smartphone remains identical to the OnePlus 5, running on Qualcomm’s Snapdragon 835 SoC and offering up to 8GB of RAM. In the US, the OnePlus 5T with 6GB RAM and 64GB storage will be available for $499 starting November 21. The version with 8GB RAM and 128GB storage has been priced at $559. What are your thoughts on the OnePlus 5T? Are you impressed with the latest OnePlus flagship? Let us know by leaving a comment down below.